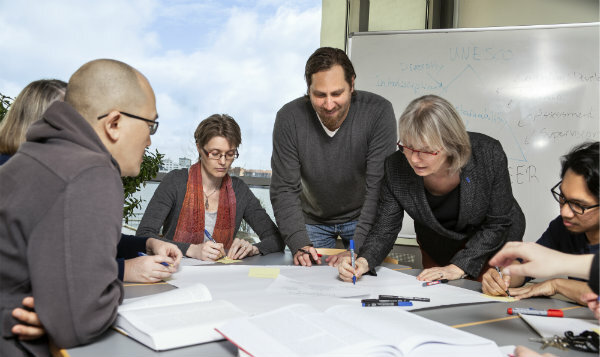 Welcome to the website of the Aalborg Centre for Problem Based Learning in Engineering Science and Sustainability under the auspices of UNESCO (Aalborg Centre). The overall strategic goal of the Aalborg Centre is to facilitate universities, and other higher education institutions, to take an active role in educating engineers and scientists so they can participate and contribute to the development of sustainable solutions to the present and emerging social, economic and environmental challenges. This online PBL course is an introductory course on Problem Based Learning (PBL) in Higher Education. The popularity of Problem based learning has increased very much over the last couple of decades and nowadays the acronym ‘PBL’ is used - and misused – for a multitude of different teaching and learning approaches in many universities around the world. The intention of this course is to shed some light on and clarify some of the uncertainties that exist about what problem based learning is, how it can be implemented and how a change to PBL can be achieved. "PROFILES IN PBL" IS A WEB DATABASE WHERE PBL ENGINEERING PROGRAMS FROM AROUND THE WORLD SHARE THE DETAILS OF THEIR PBL PROGRAMS. Our goal is to showcase more than 100 PBL profiles. The profiles will serve as inspiration for PBL programs to learn from one another and for engineering educators world-wide who are considering PBL. This database has been developed in collaboration between The Aalborg UNESCO Centre and Iron Range Engineering, Itasca Community College.